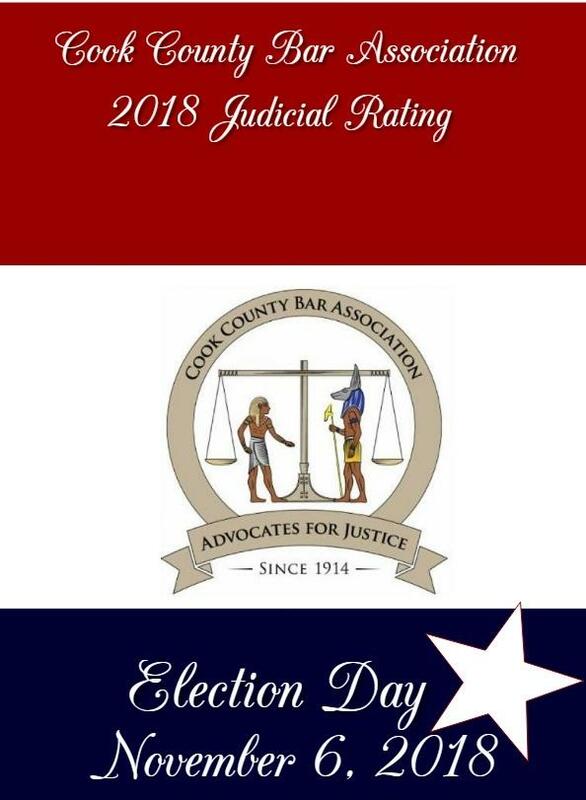 The Cook County Bar Association has released recommendations for judicial candidates seeking retention in the November election. The CCBA is recommending a "yes" vote for Supreme Court Justice Anne M. Burke, Appellate Court Justice Margaret Stanton McBride, and 56 of the 59 Cook County Circuit Court judges seeking retention. The three Circuit Court judges given a negative rating by the CCBA are Catherine Marie Haberkorn, Maura Slattery Boyle, and Matthew E. Coughlan. Haberkorn was rated Qualified for retention or recommended for retention by every other Alliance member and also by the Chicago Bar Association. Slattery Boyle and Coughlan were both rated Qualified by the Chicago Bar Association and the Illinois State Bar Association. Both, however, were rated negatively by the Chicago Council of Lawyers and the Black Women Lawyers' Association. While Slattery Boyle was rated positively by Decalogue Society of Lawyers, the Hispanic Lawyers of Illinois, the Lesbian and Gay Bar Association of Chicago, and the Puerto Rican Bar Association, Coughlan was rated negatively by each of these groups. Haberkorn offended more than one recent Associate Judge candidate for using racially insensitive language. Yes judge, we are articulate, more so than you and many of your colleagues, but telling me in an astonished tone of voice is no compliment. Enjoy your bar rating. Perhaps Evans can convene a special committee for this transgression too. Don’t single out Haberkorn. Based on the last Associate results, the entirety of the Circuit Judges are racially insensitive with no interest in diversity...at least when it comes to African Americans. And why wouldn’t they be since they know that neither the CCBA nor the BWLA will do absolutely nothing about it.